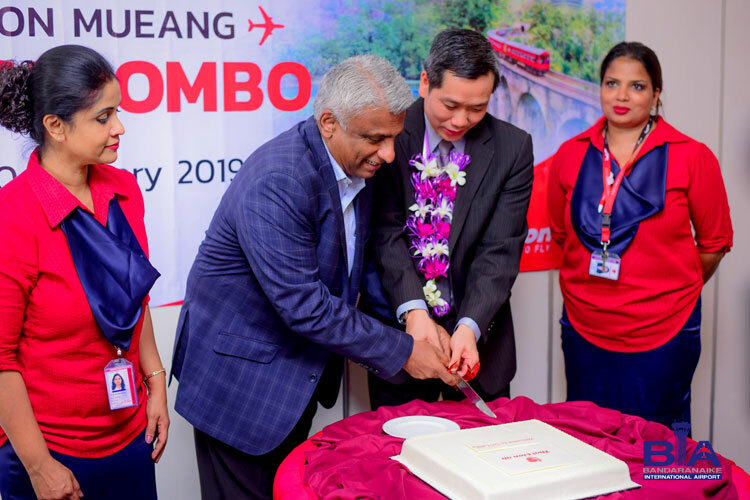 Thai Lion air commenced direct flights between Colombo, Sri Lanka and Bangkok(Don Mueang)on daily basis. 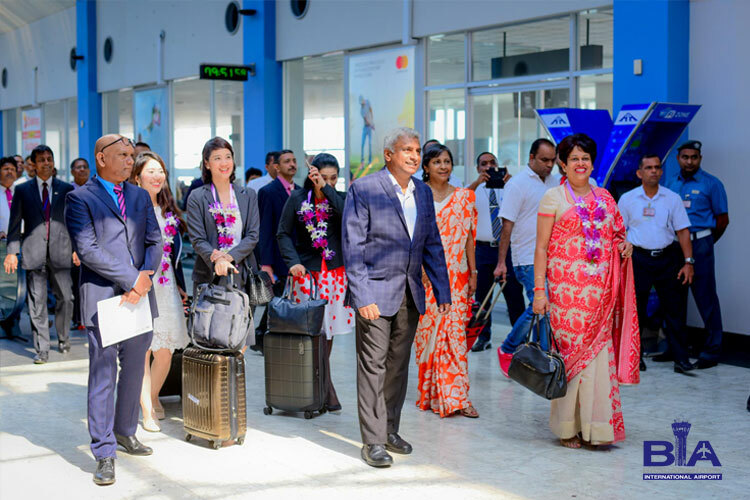 The inaugural flight,SL230/1 (Boeing 737-max9), from Bangkok arrived in Sri Lanka on 30th January 2019 at 9.38 hrs with a total number of 120 passengers and the crew on board. 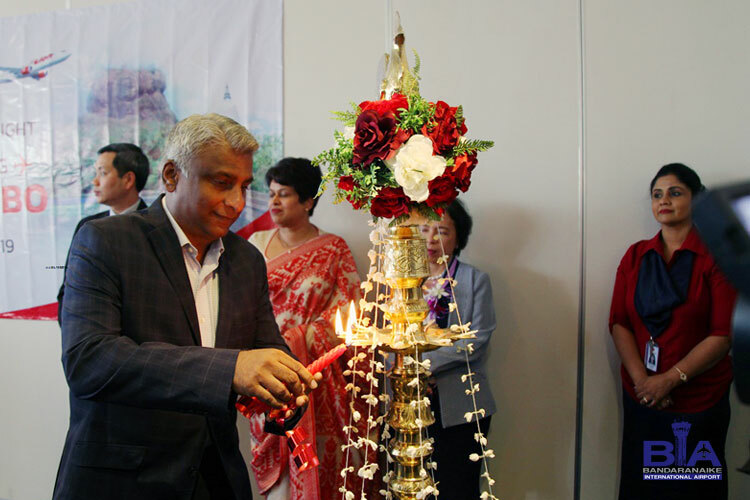 The group was warmly welcomed with a traditional dance performance followed by an inaugural ceremony. 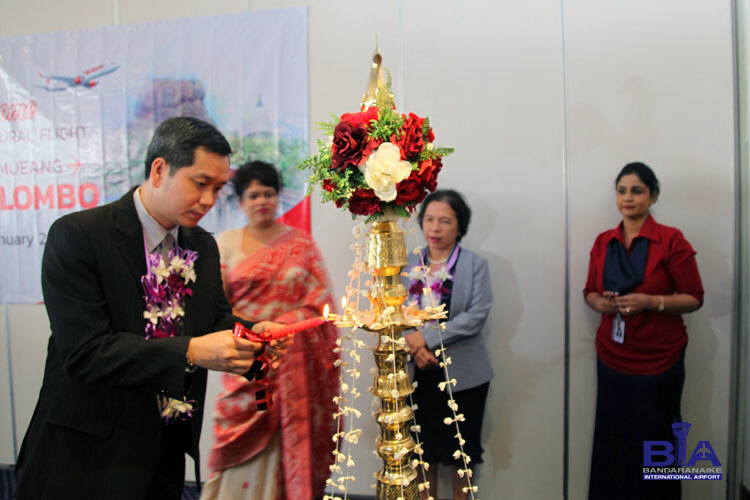 Her Excellency Chulamanee Chartsuwan, the Ambassador of Thailand to Sri Lanka, Her Excellency Kshenuka Seneviratne, the Ambassador of Sri Lanka to Thailand, Captain Darsito Hendro Seputro, Chairman of the Board Thai Lion Air, Mrs Nuntaporn Komonsittivate, Head of Commercial-Thai Lion Air, other dignitaries representing Airport and Aviation Services (Sri Lanka) Limited, Civil Aviation Authority of Sri Lanka, Sri Lanka Tourism Promotion Bureau, SriLankan Airlines and Jetwing Travels were presented at the event. 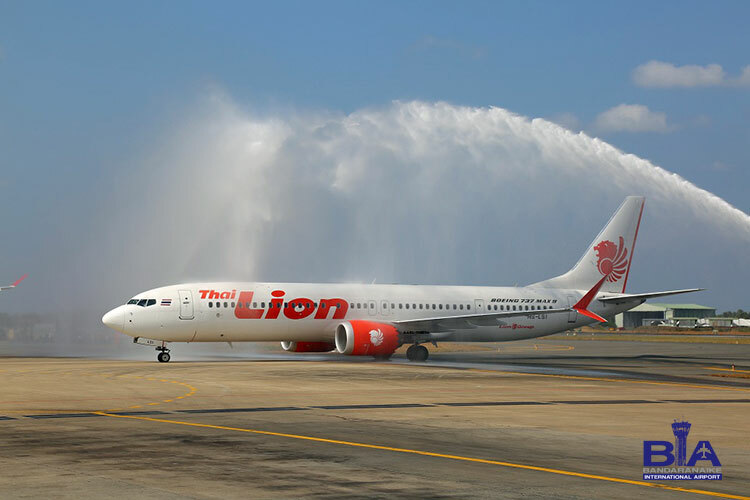 Thai Lion Air is one of the Low-Cost Carriers (LCCs) in Lion Group founded in 2013 and it connects 20 international destinations. 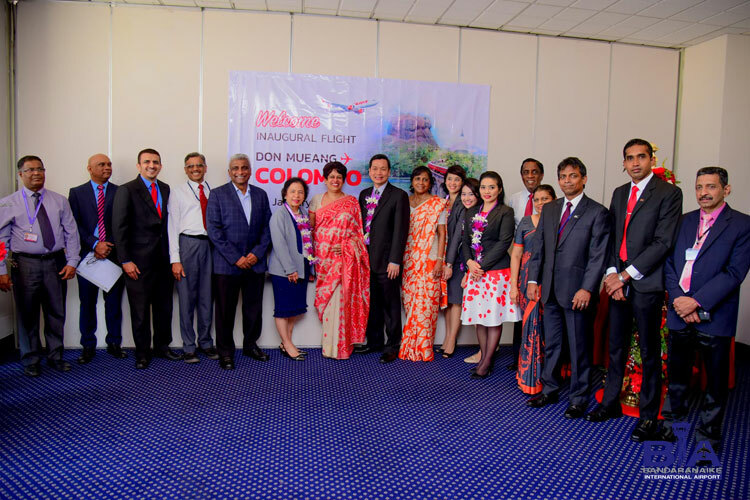 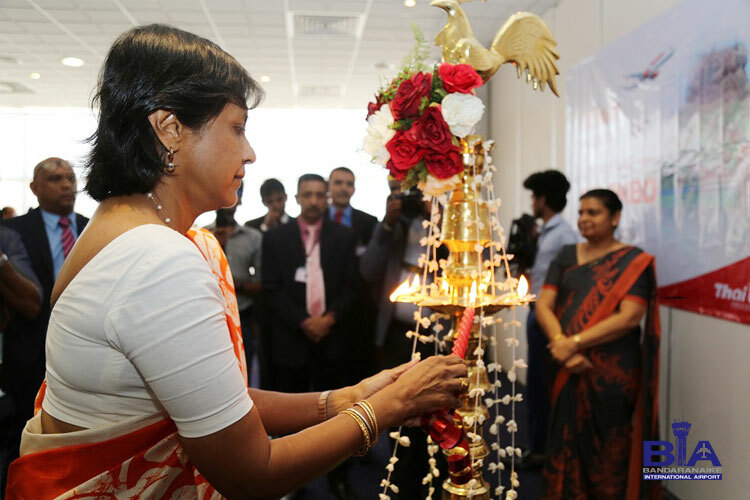 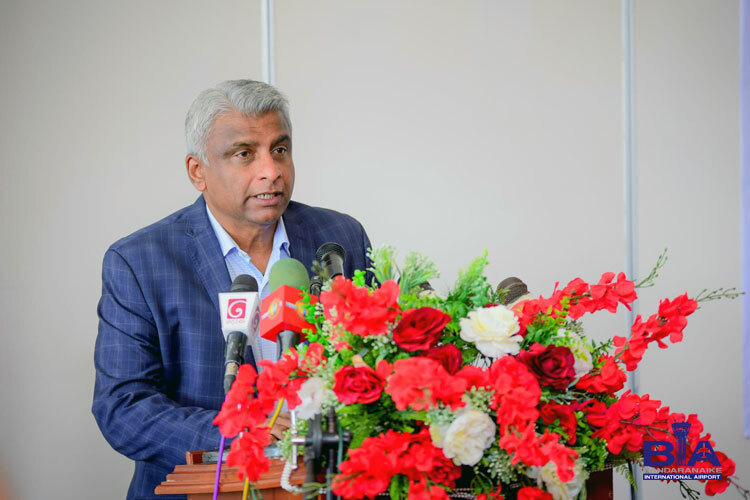 The tourism industry in Sri Lanka is developing rapidly and AASL is happy to see the new airlines commencing flight operations to Colombo connecting different parts of the globe. 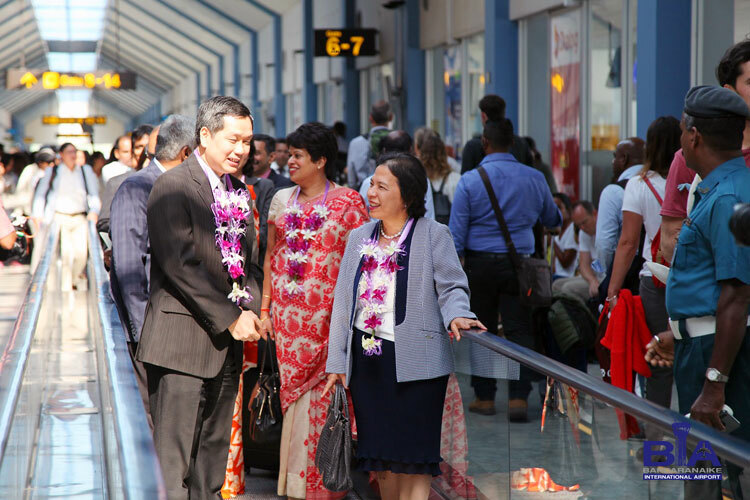 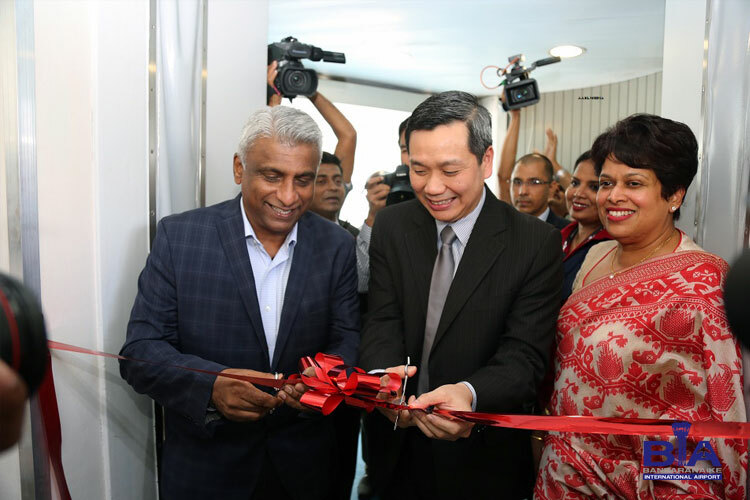 Daily flights between Bangkok and colombo will enhance the trade and commerce between the two countries and create a significant positive impact on the economies of both Thailand and Sri Lanka.